White Edition takes its inspiration from ‘California Breeze’, the theme of the main collection. 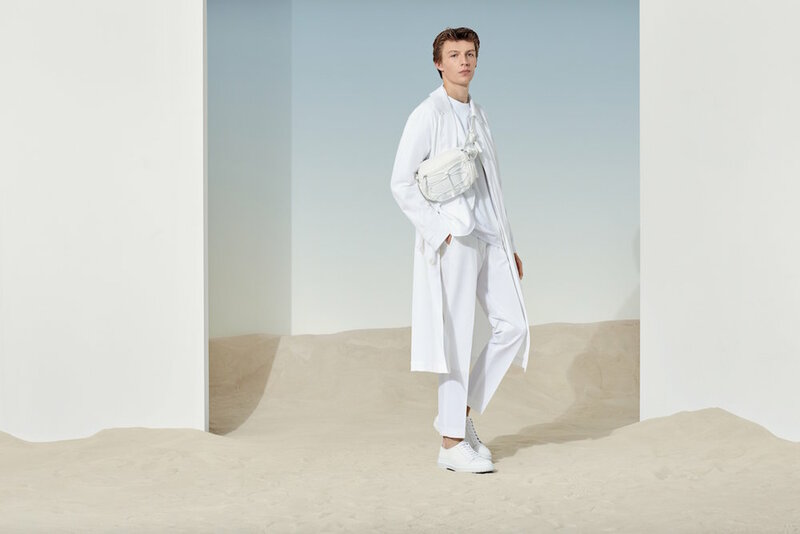 Its all-white palette reflects the special light and brightness of the state, while featherweight fabrics and relaxed cuts combine to create an effortless look. The collection includes outerwear, tailoring, knitwear and jeans, as well as men’s accessories and women’s dresses and skirts. Each piece is designed to be worn with others from the capsule, with complementary tones, finishes and silhouettes ensuring an impeccable look. They can also be styled separately to add some crisp Californian attitude to any outfit for Spring/Summer 2019 and beyond. Craft and quality are essential elements of the capsule collection. Fabrics are selected for their airy, paper-touch finishes, with many woven or knitted in Italy and Europe. Intricate workmanship is found throughout, while rubberized trims and details complete the clean, modern appearance, offering a luxurious way to wear a high-summer look.